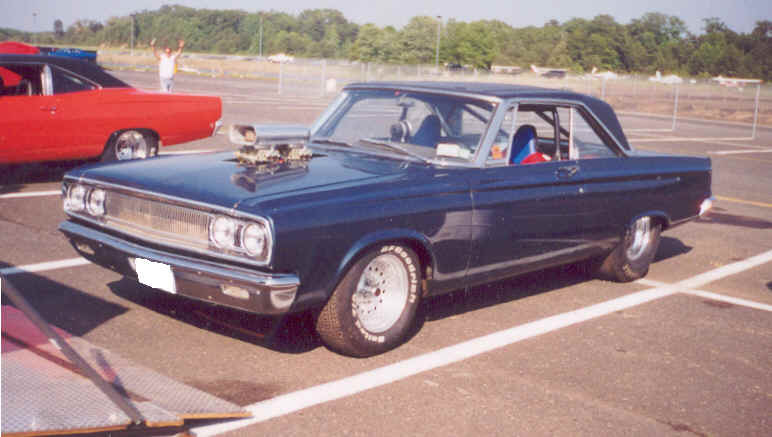 Above and below, Bill's 1963 MAX WEDGE Plymouth Sport Fury two door hard top. 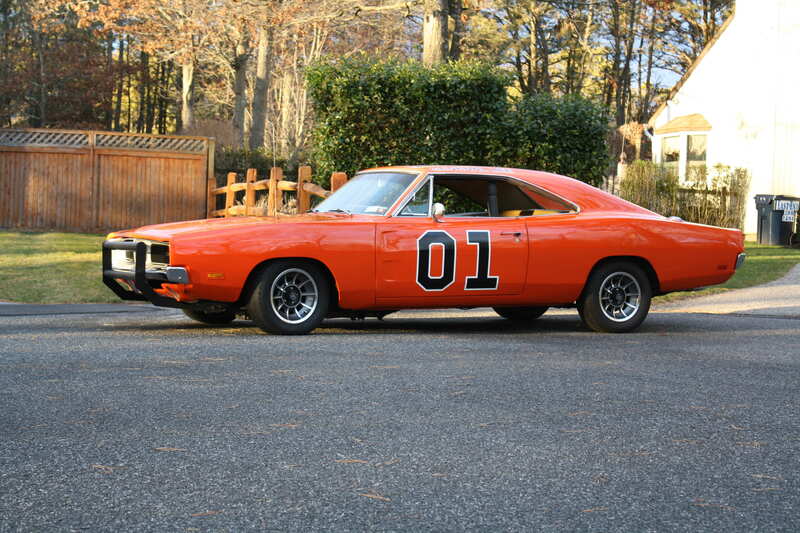 It's equipped with the dual four barrel 426 cubic inch "Max Wedge" engine, pushbutton automatic transmission, 8 3/4" rear with 3.91:1 axle ratio, non-power steering and brakes, and not much else. 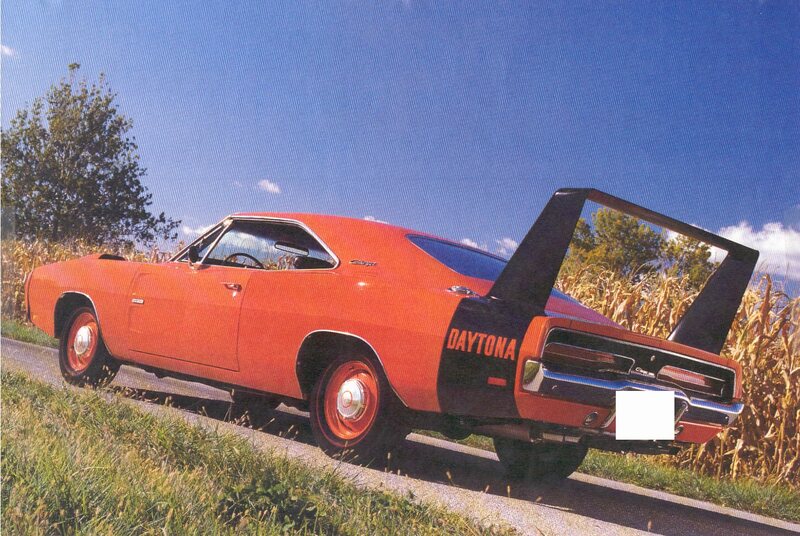 It was equipped to GO. 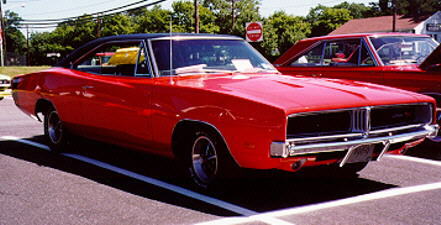 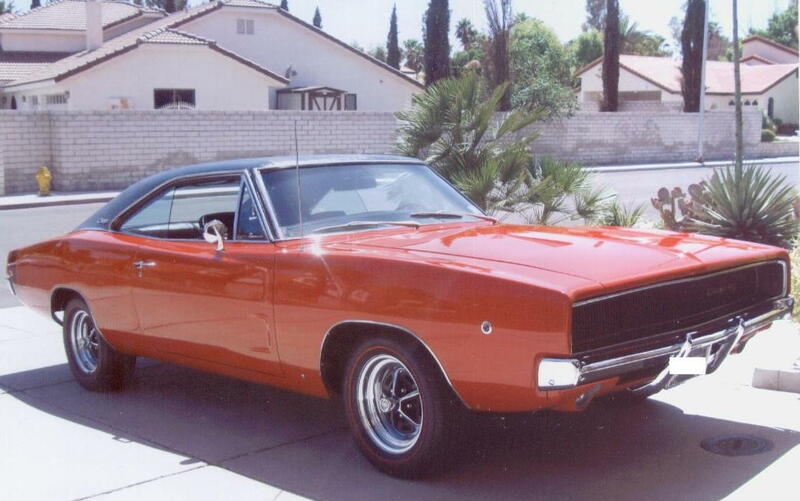 Shown above is Peter V's 1969 Dodge Charger R/T-S/E (and a close up of the split grille). 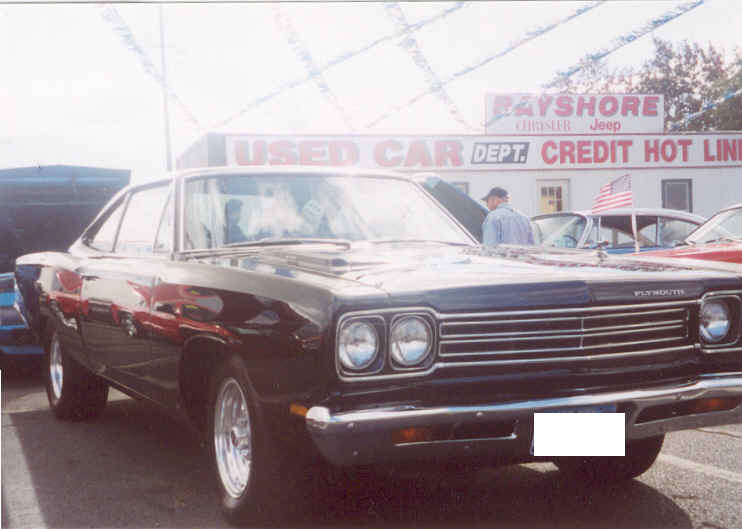 Among its many features and options are a 440 C.I.D. 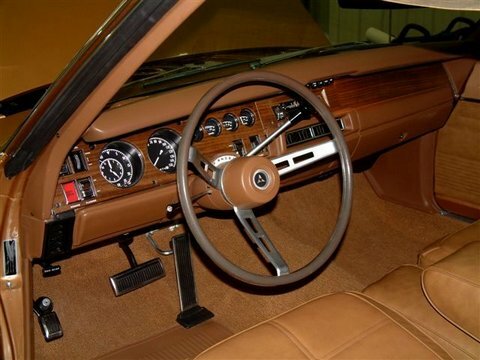 V8, automatic transmission, 8 3/4" rear axle with 3.55:1 gear ratio, power steering, power disk brakes, leather seats (with manual 6 way adjustment for the drivers seat), wood grain instrument panel with "Tic-Toc-Tach" and AM radio with 8-track cartridge player. 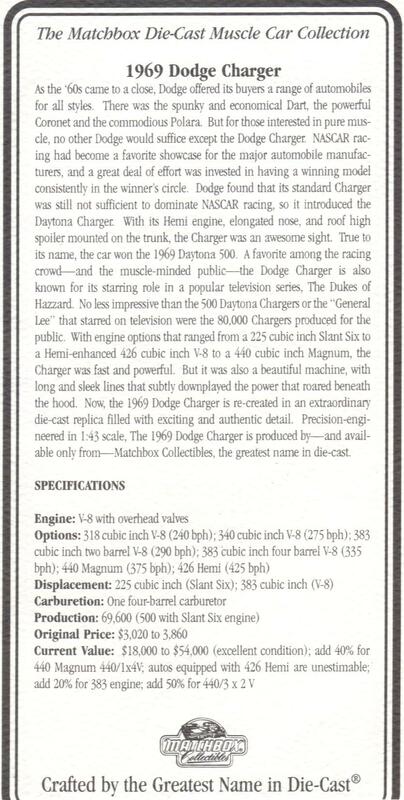 This car was used in the recreation of a detailed die-cast scaled replica from Matchbox Collectibles Inc. What a car! 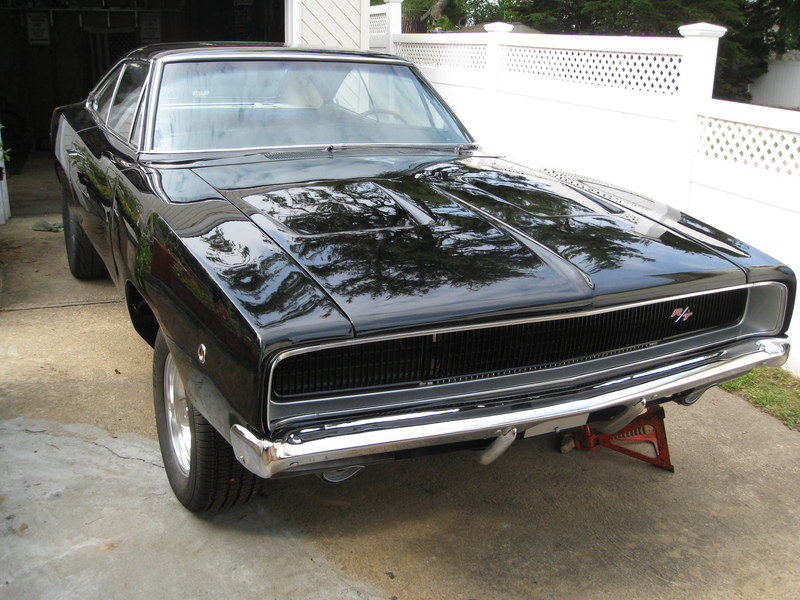 Below is Pete's 1969 Charger R/T-S/E Used To Make Matchbox Collectible Die Cast (Now For Sale-Contact Pete 631-454-8940). 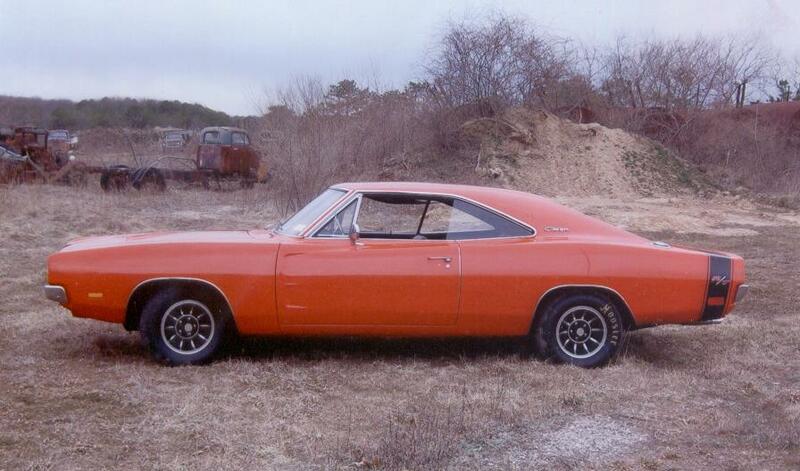 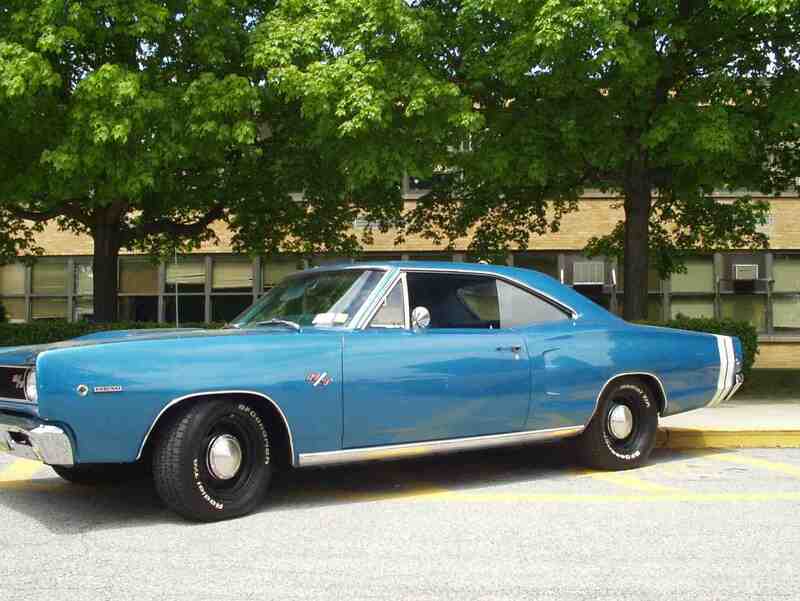 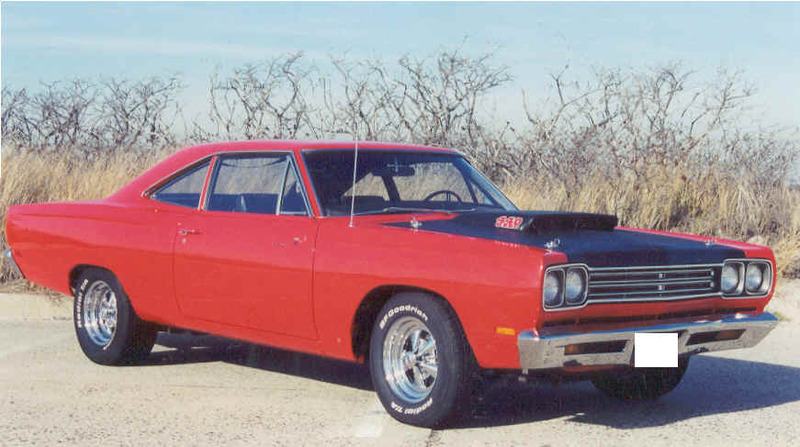 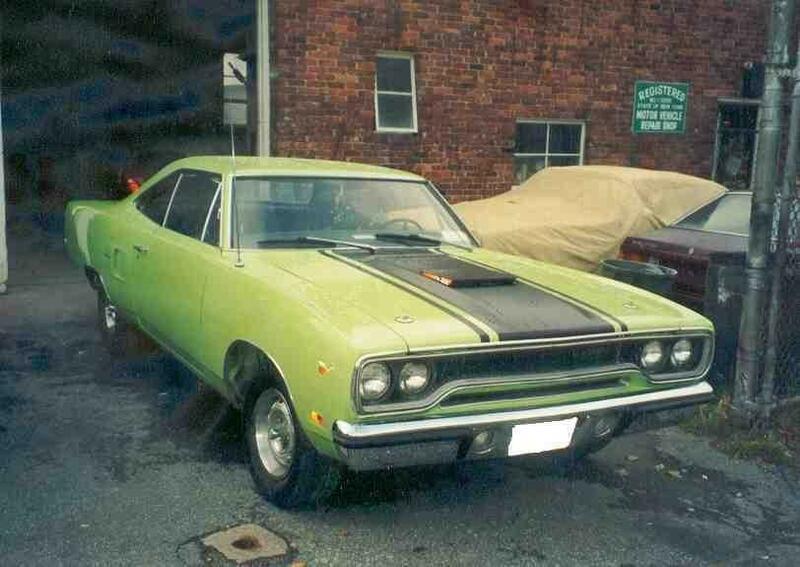 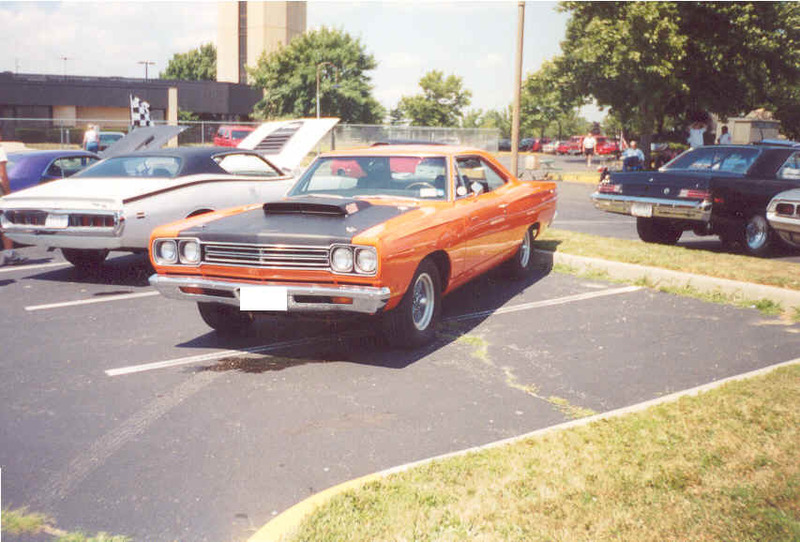 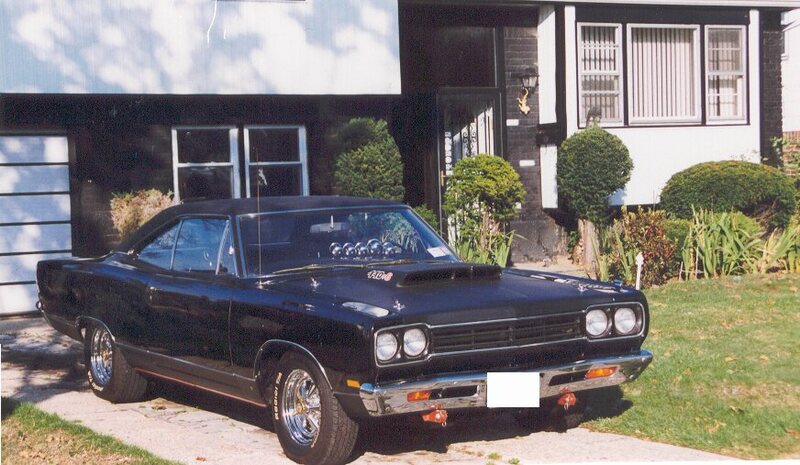 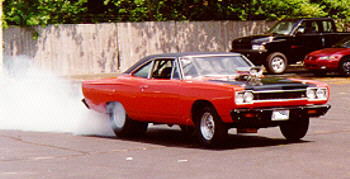 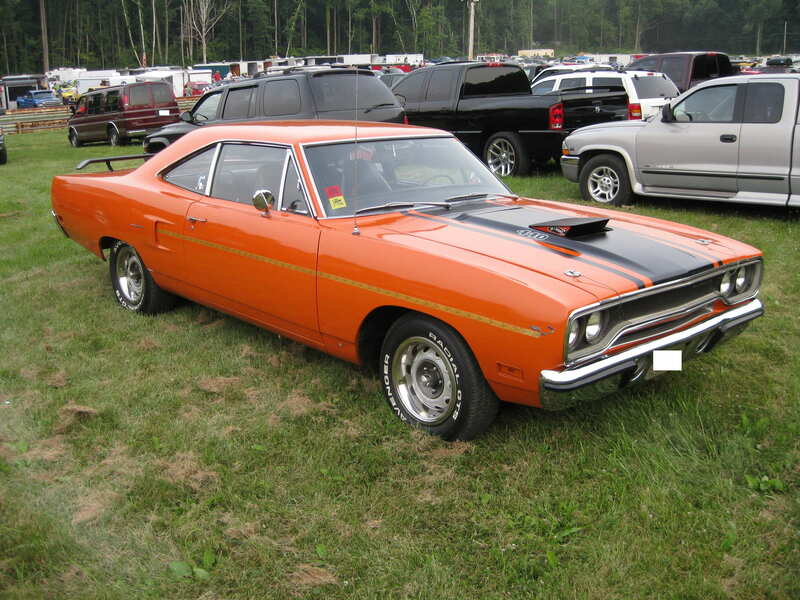 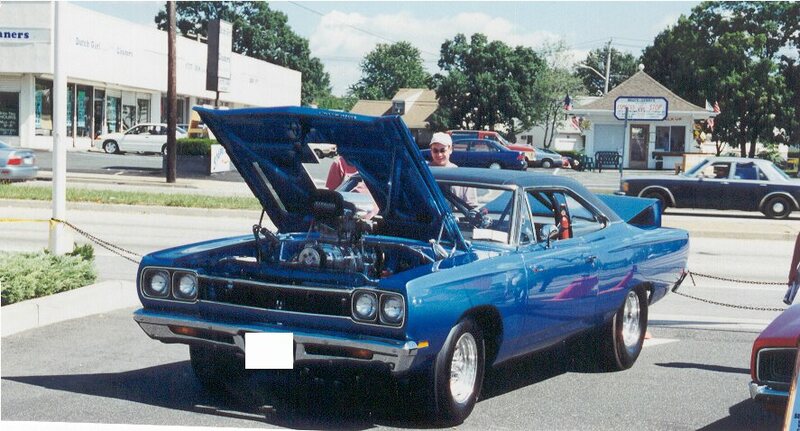 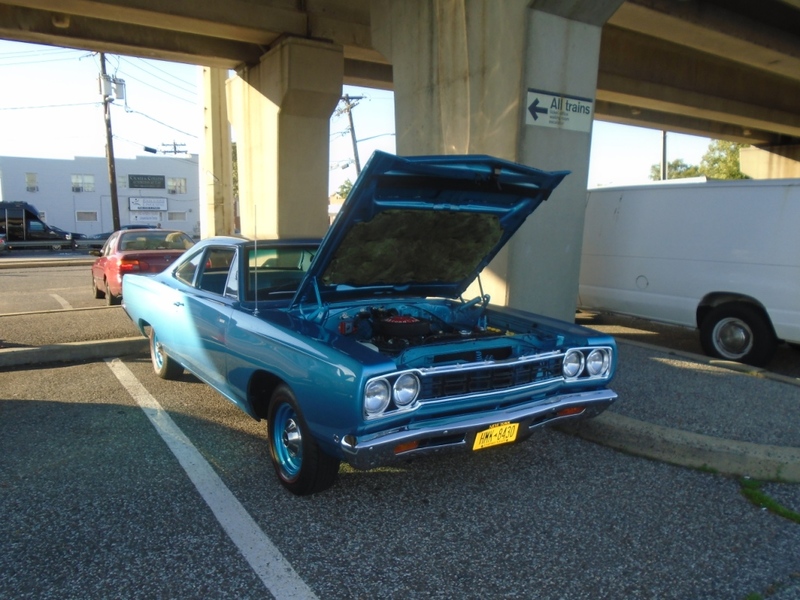 Pictured above is Pete G's 1969 Superbee. 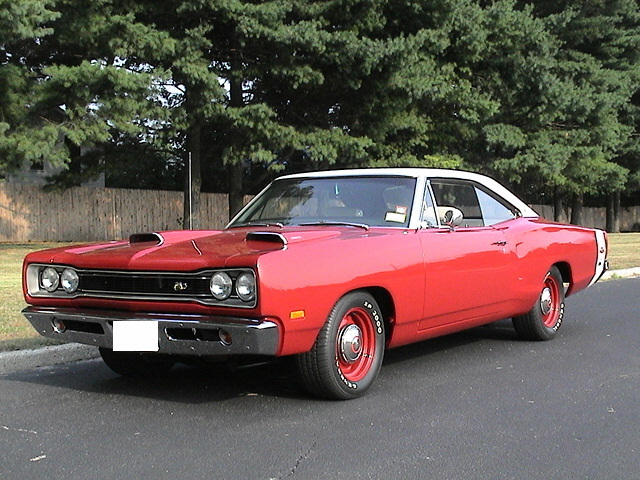 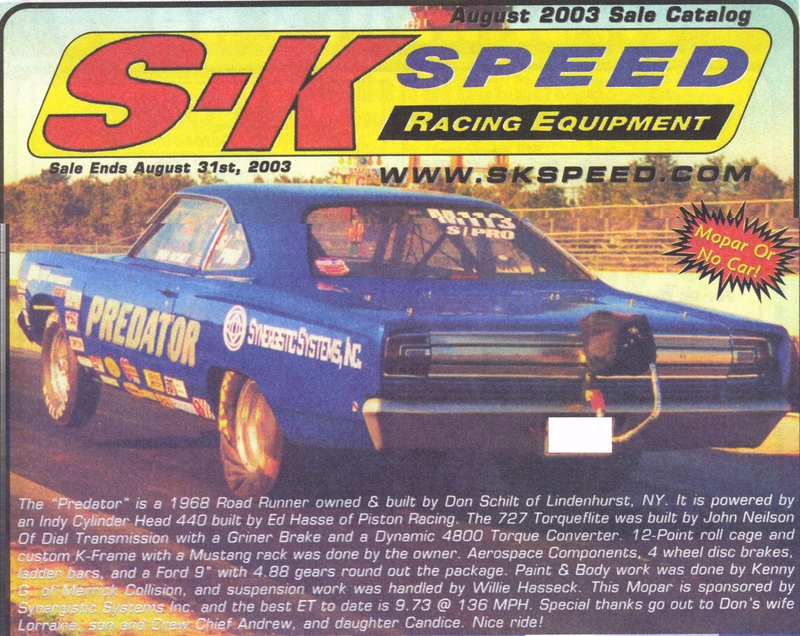 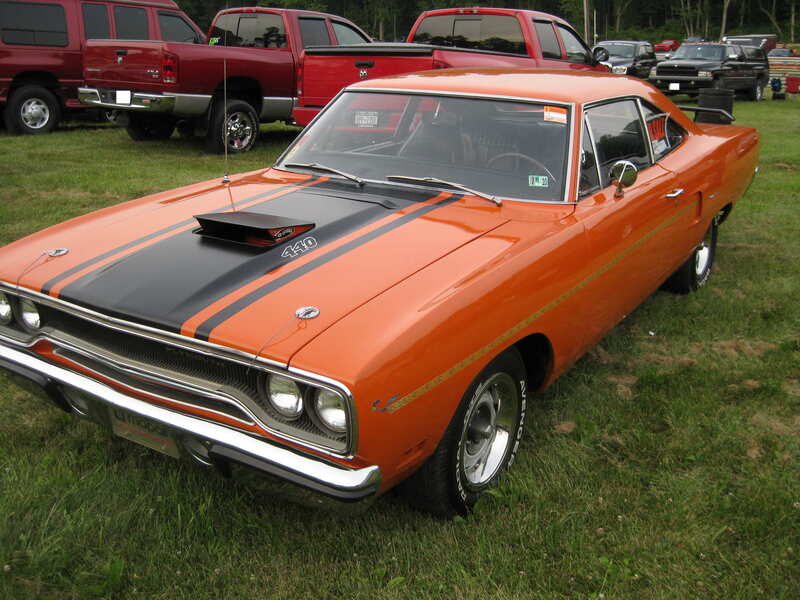 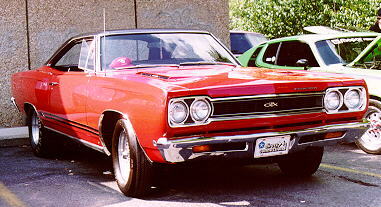 This Superbee is an original export car. 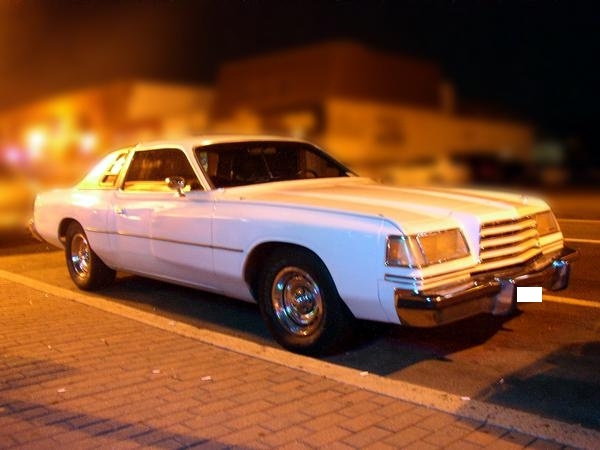 It was sold new in Manitoba, Canada and spent it's whole life up north with three previous owners before Pete bought it in February of 2000 from a guy in Prince Albert, Saskatchewan. 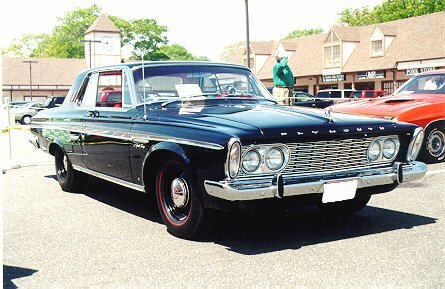 The previous owner did the entire restoration over a five year period. 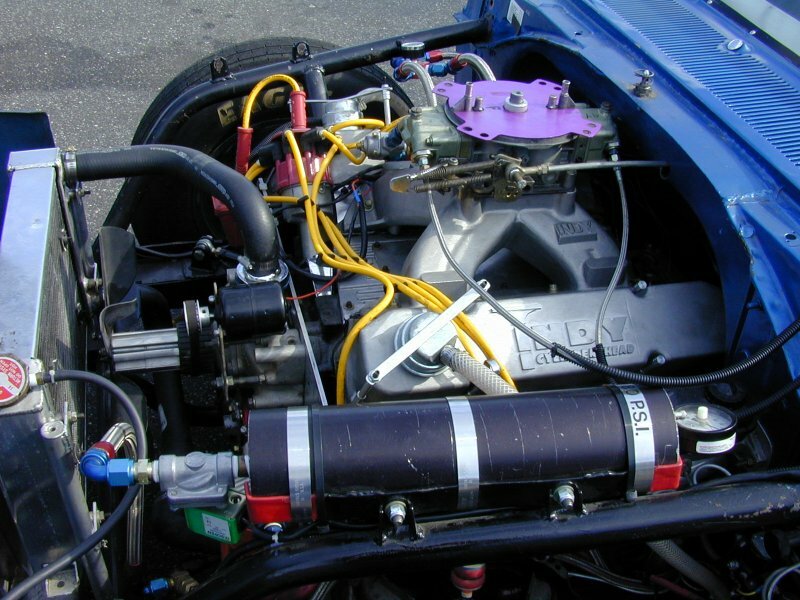 Everything is new/redone with correct parts. 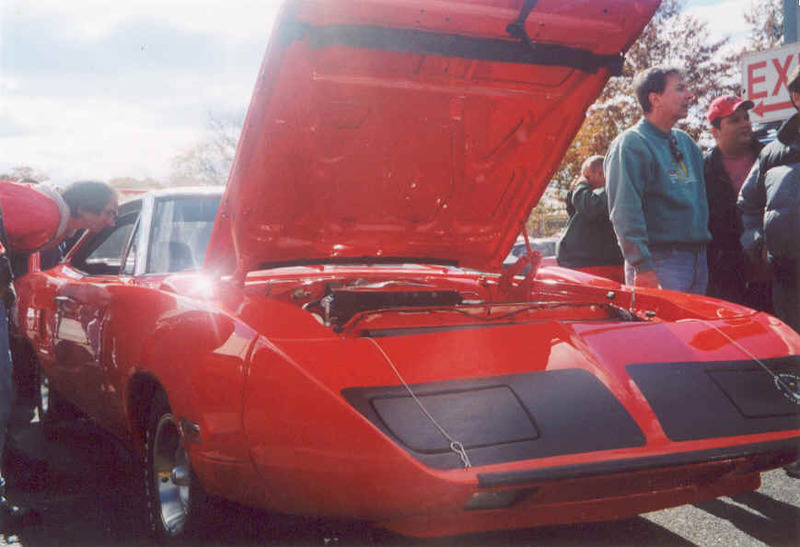 The body and interior are in the original colors and the entire drivetrain is redone as well. 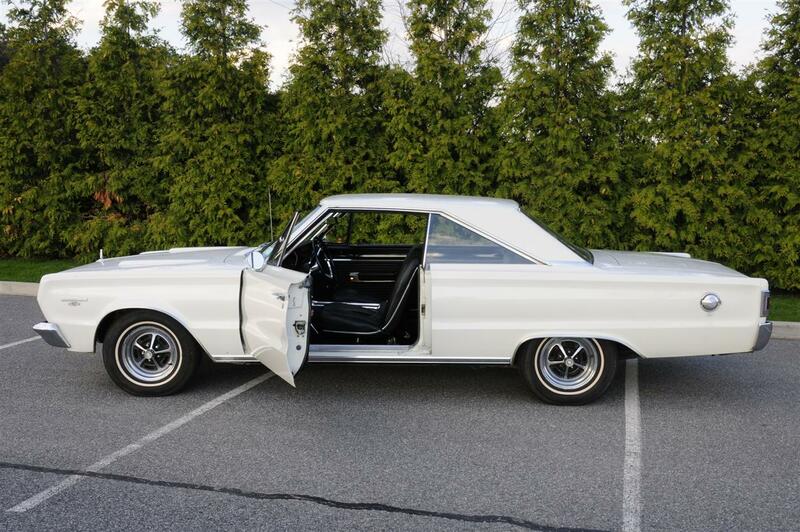 All mechanical parts, weather-stripping, chrome, glass, and body rubber is done too. 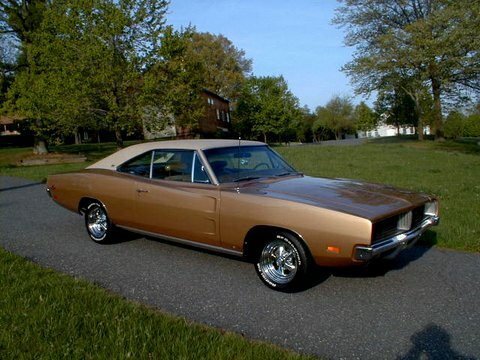 The detail is very nice and the car drives great. 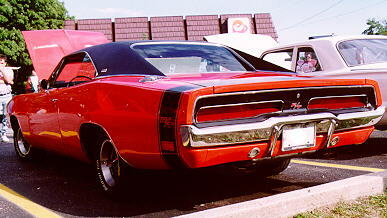 What makes it so nice is the color combo of red on white, plus the options it has. 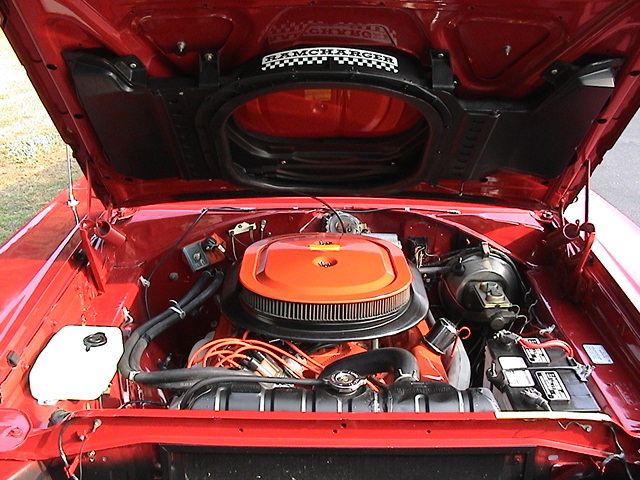 Most Bees were stripped down versions with little amenities for comfort. 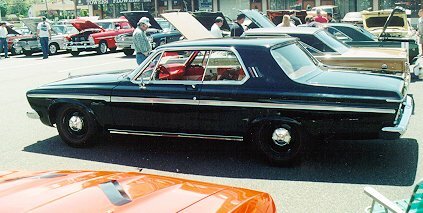 This one has the decor group with the upgraded bucket seat and woodgrain panel interior...it looks beautiful! 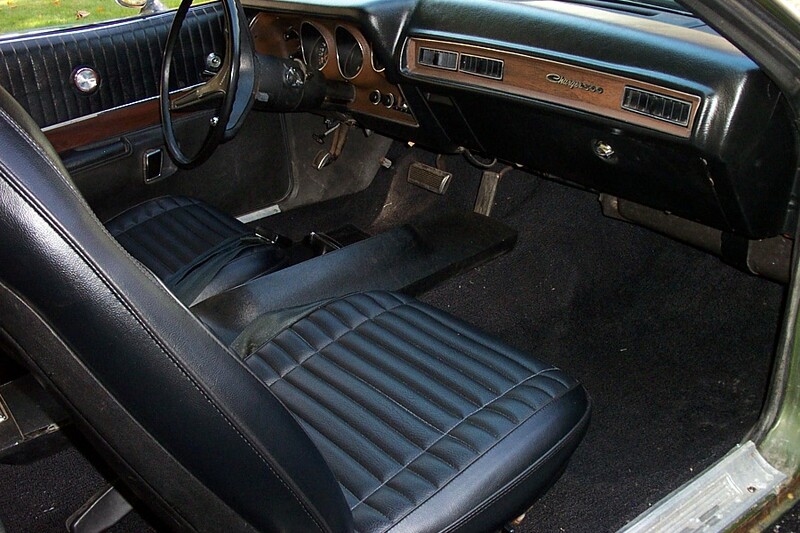 It also has p/steering and p/brakes with a console shift automatic and the Ramcharger Hood. 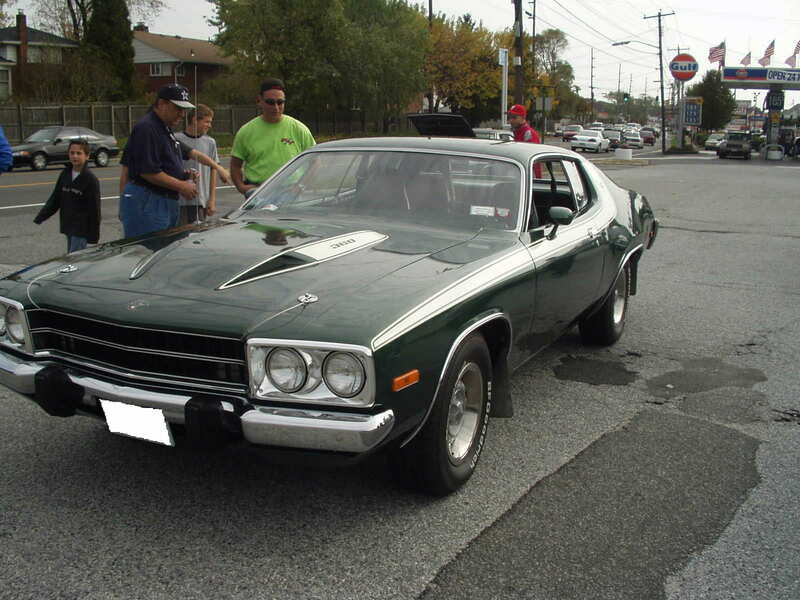 Even the Dogdish Hubcaps look great on this car. 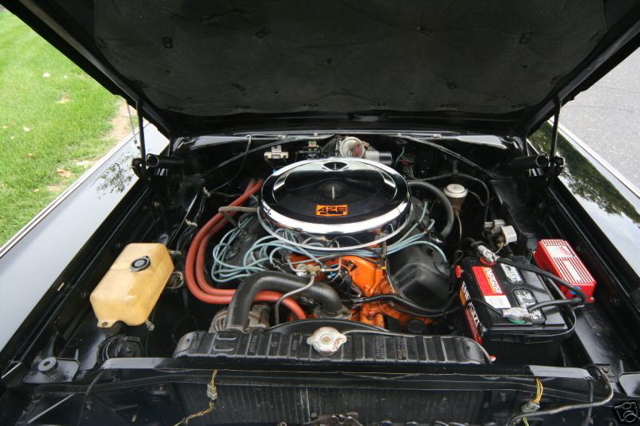 It has the standard 383 Magnum engine and the only non-stock feature is the conversion to electronic ignition. 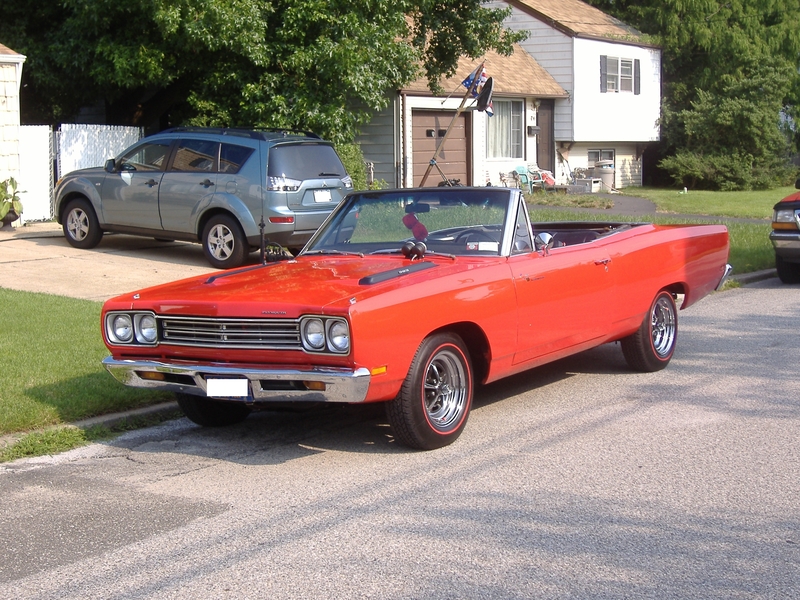 It drives great and everything works. 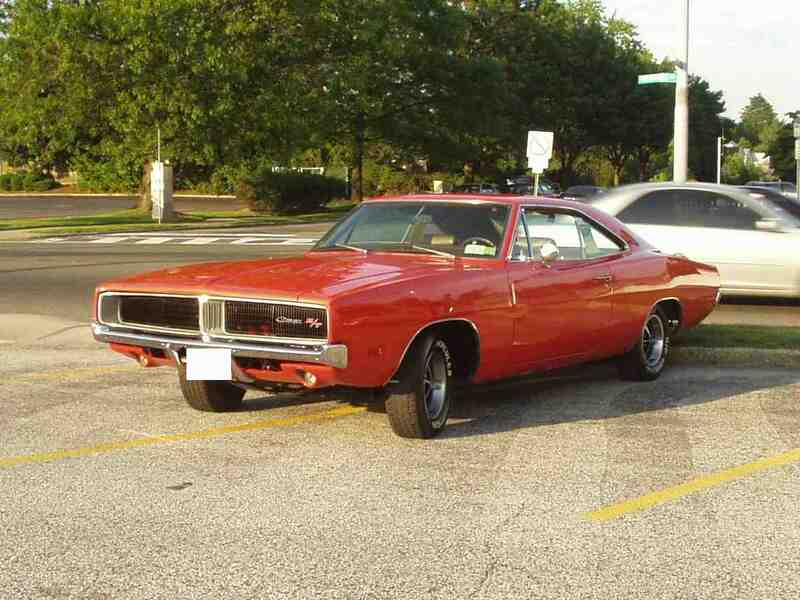 Above is Pete's 1970 Dodge Charger R/T. 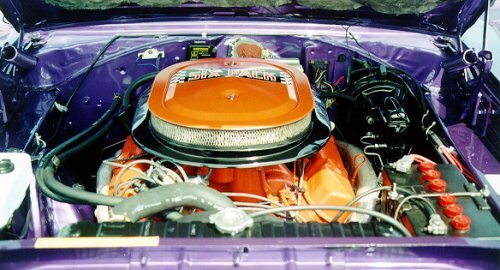 Originally equipped with a 440 Magnum (four barrel), 4 Speed Pistol Grip shifter, and Dana rear with 4:10 gears (as part of the Super Track Pack option package), the car now wears a "Six Pack" setup. 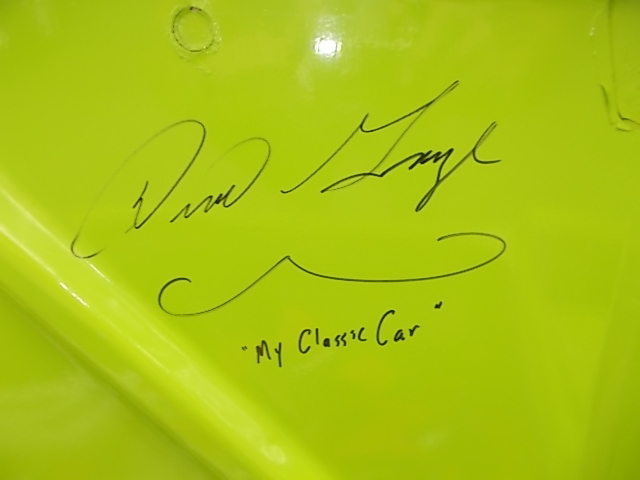 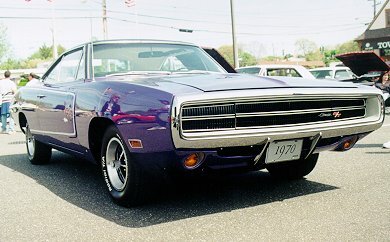 Pete writes "The car is Plum Crazy Purple with a black vinyl top and white bucket interior. 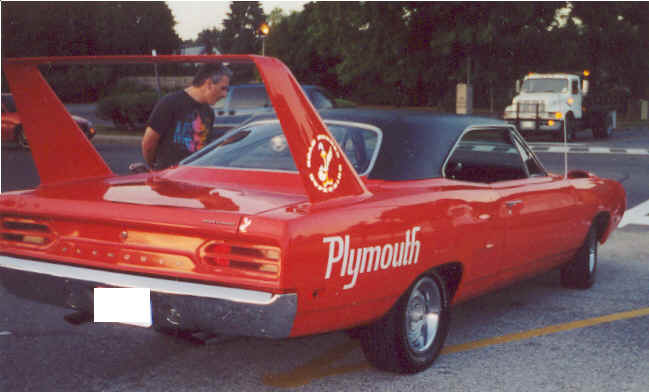 White Longitudinal stripe, rear wing, and road wheels. 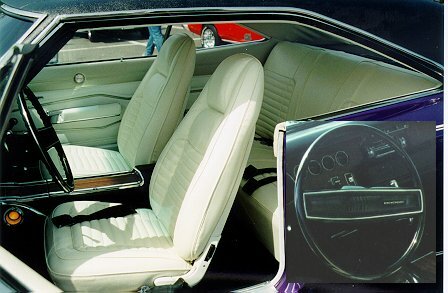 The white and purple is a great contrast compared to most cars that are purple with black interiors. 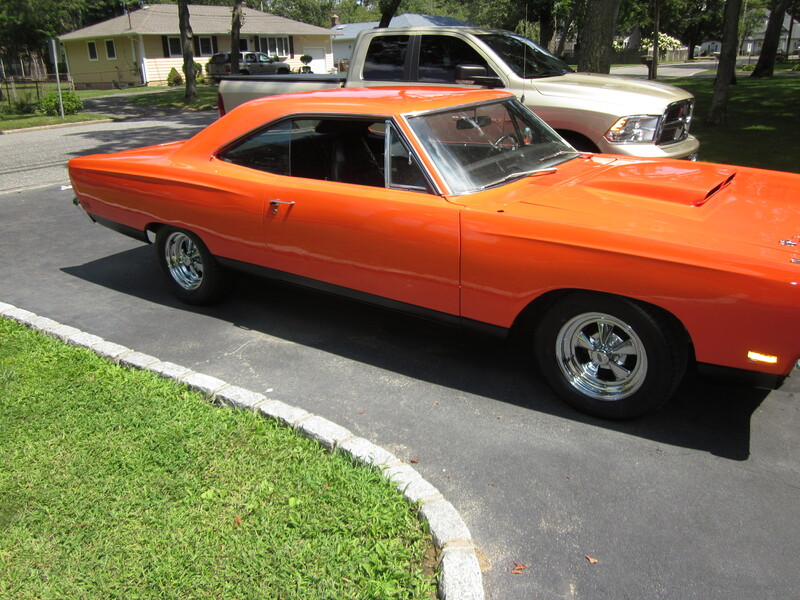 This car has been thoroughly redone inside, outside, drivetrain, and all parts. 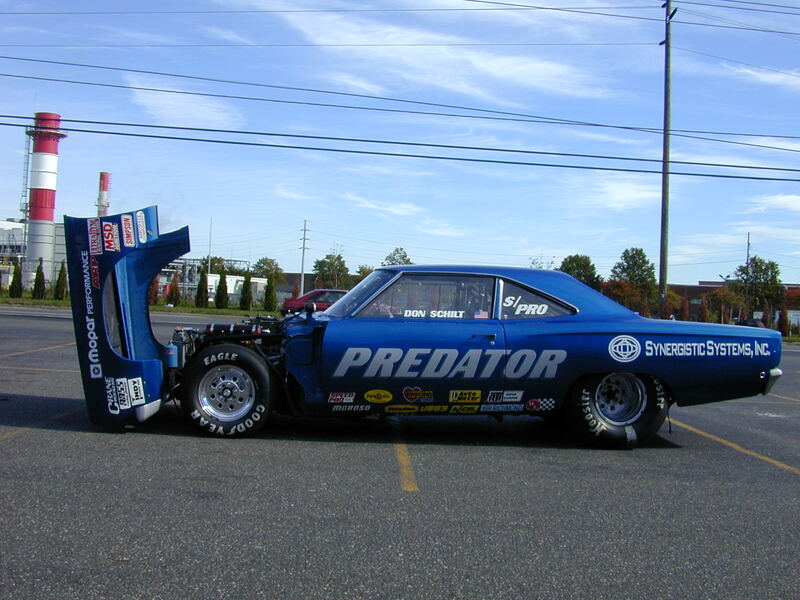 It was done on a rotisserie so the undercarriage looks just as detailed and finished as the top!! 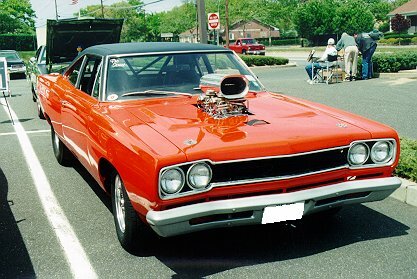 The car looks great and is a REAL attention getter!! 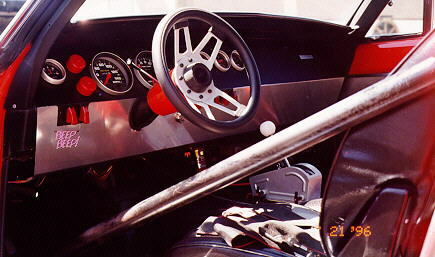 It has a one of 66 made Rim Blow steering wheel (see the interior photo above). 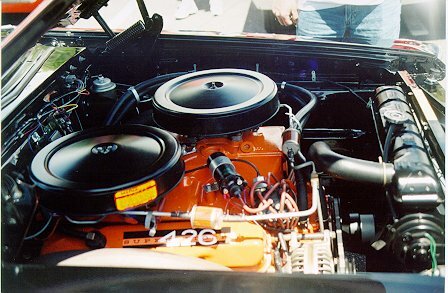 The previous owner added a correct 6 Pack setup and gave me the original 4 Barrel and intake. 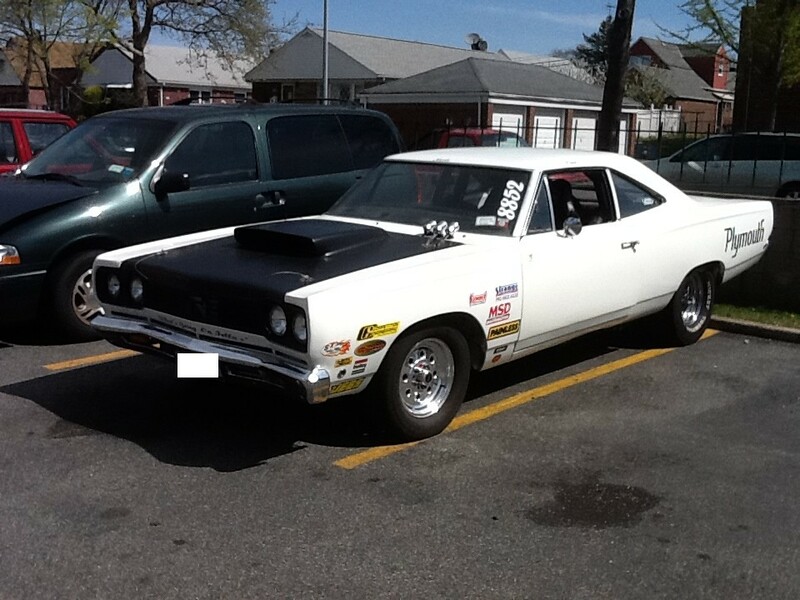 I plan on showing it occasionally and driving it around locally as well." 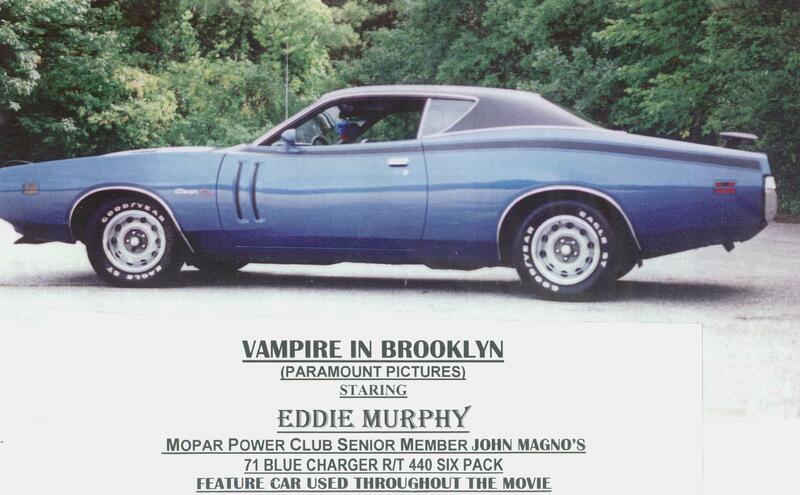 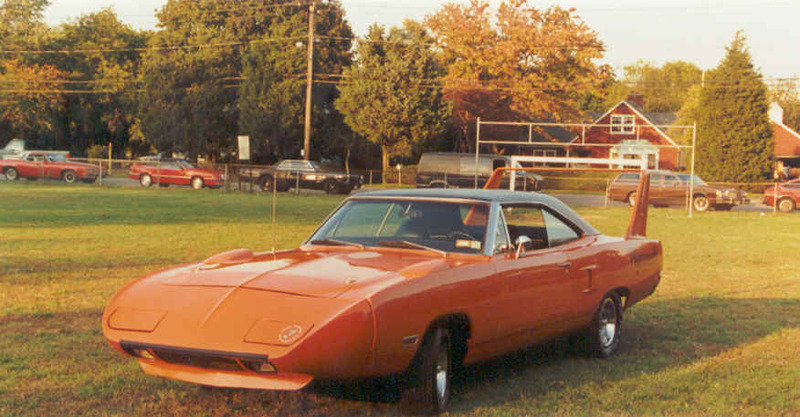 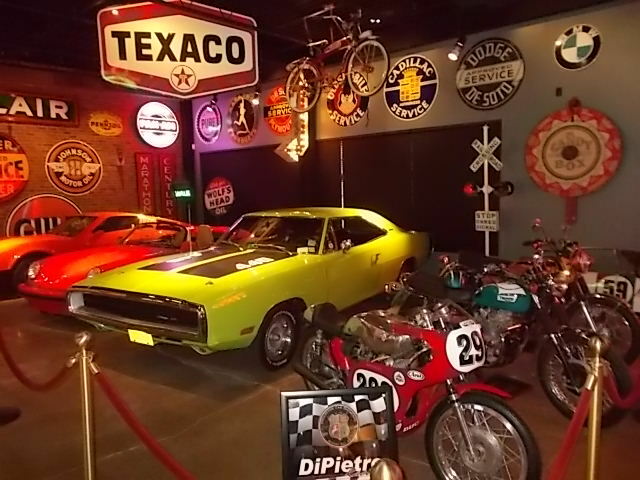 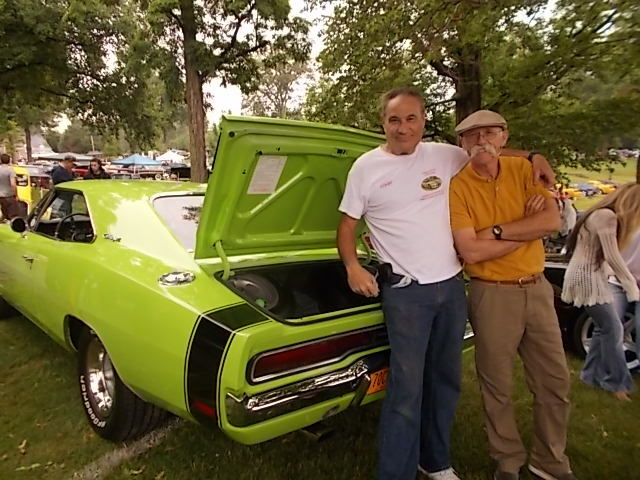 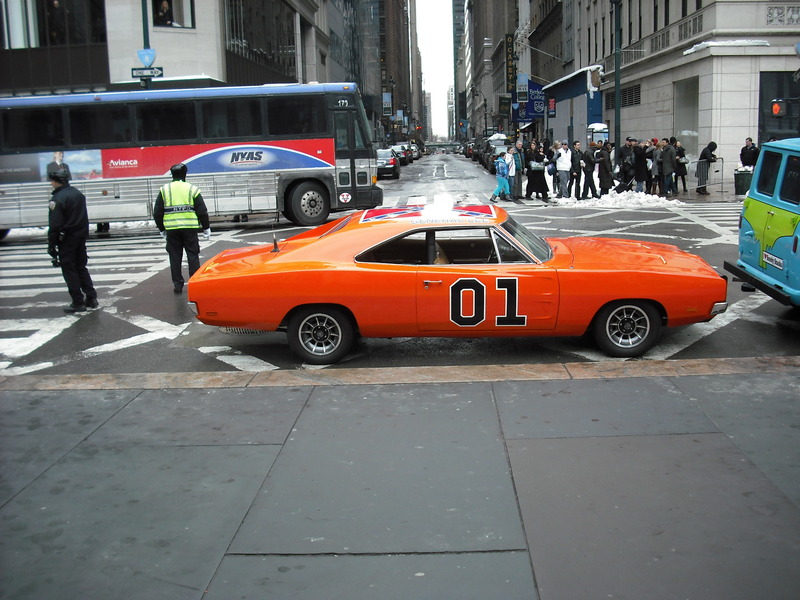 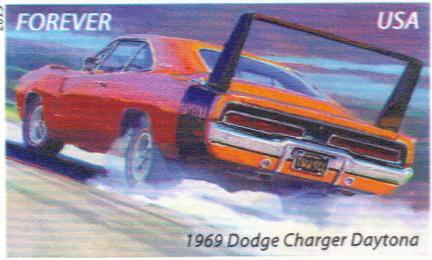 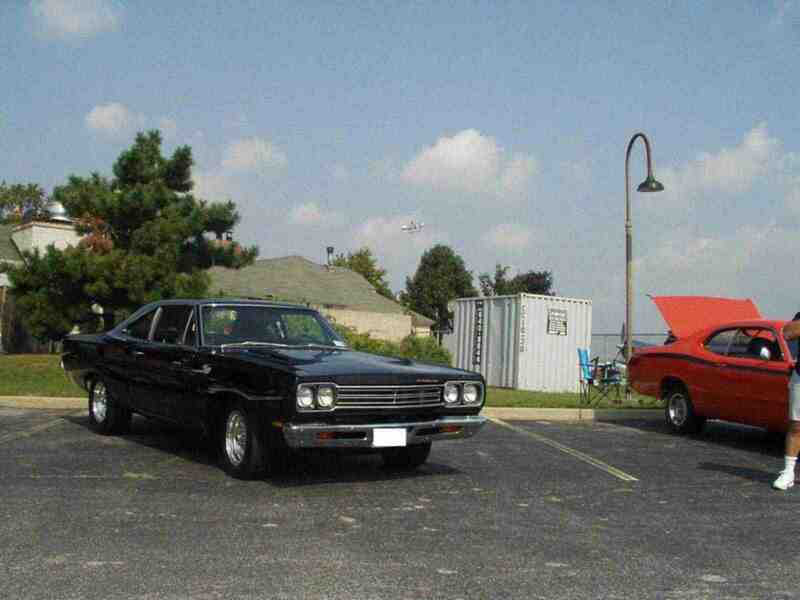 Peter's 1971 Dodge Charger R/T and 1971 Plymouth 'Cuda are also featured in this site. 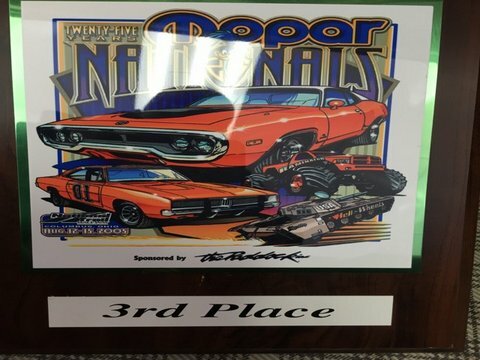 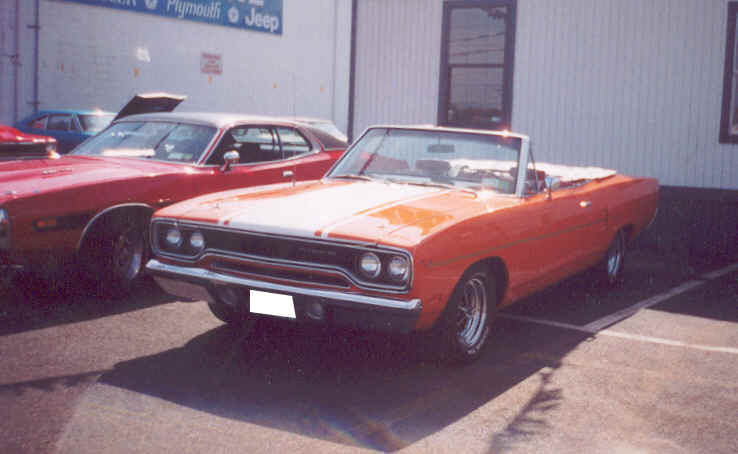 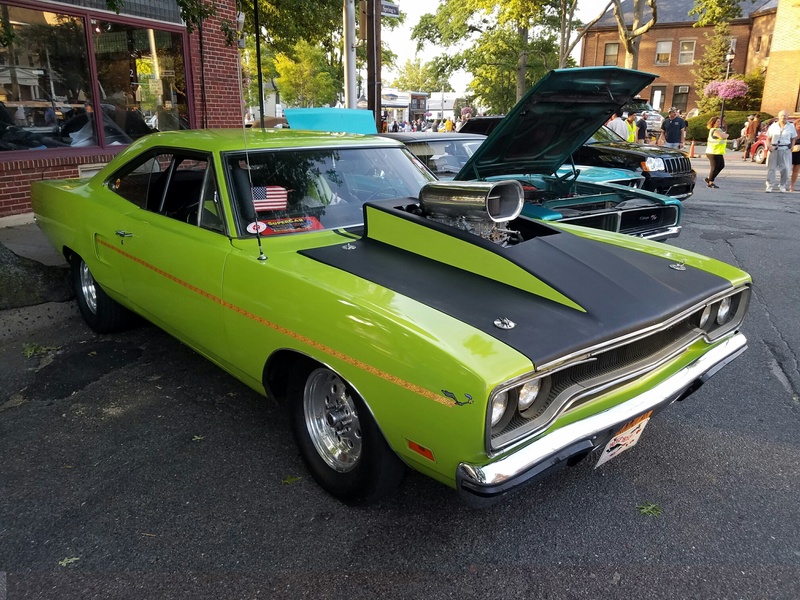 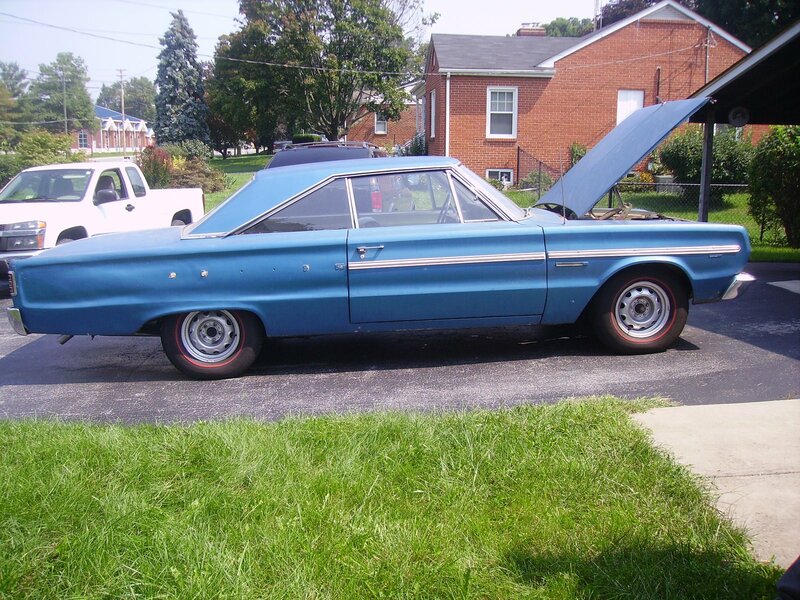 Frank C. is the original owner of this modified 1968 Plymouth GTX with 36,000 original miles (the miles are the only thing that haven't been modified!). 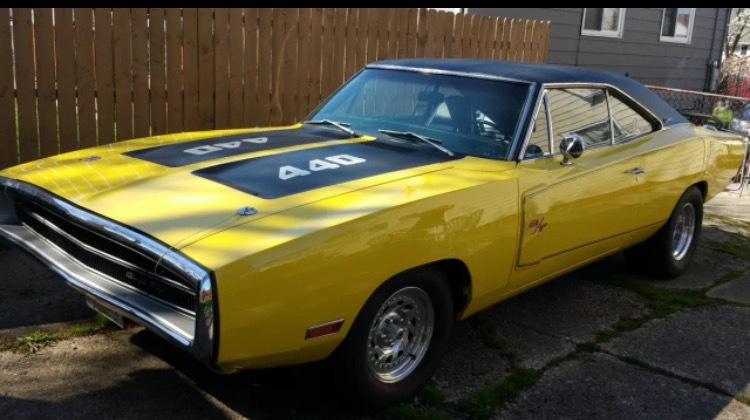 It's equipped with a 440 C.I.D. 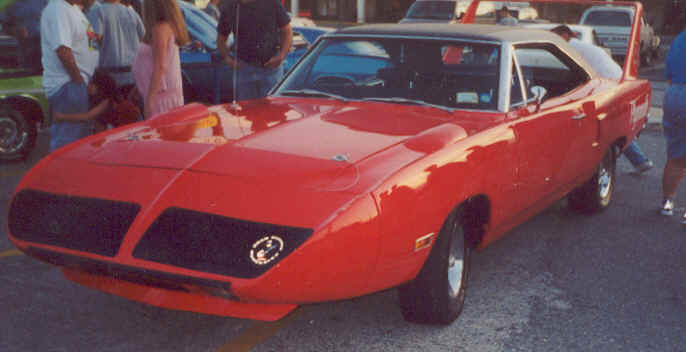 V8. 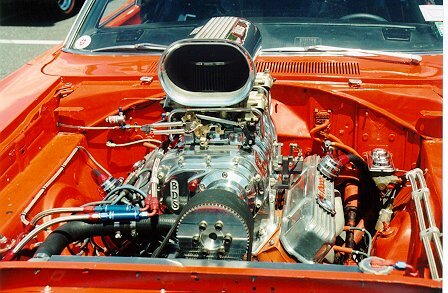 The modifications include a Tarantula intake manifold, 850 CFM Holley carburetor, Racer Brown camshaft and a 3600 RPM stall speed torque converter. 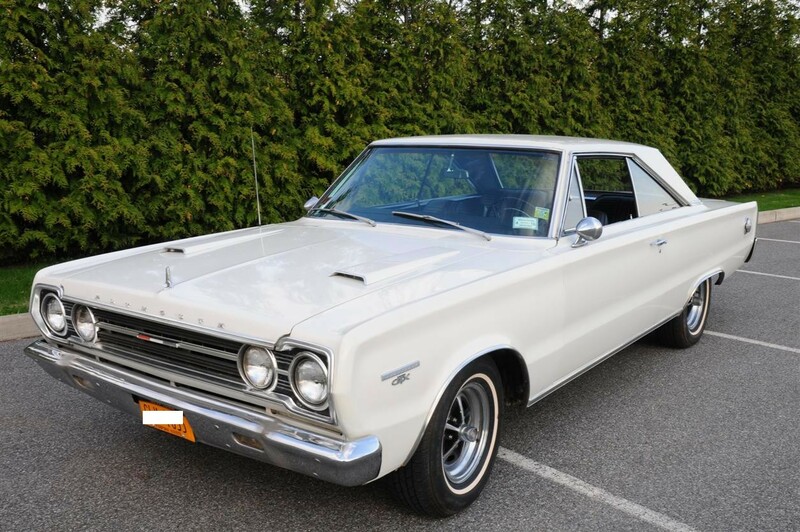 It's also equipped with a 727B Torqueflite automatic transmission with reverse manual valve body and and 8 3/4" Sure Grip rear end with 4.89:1 gear ratio. 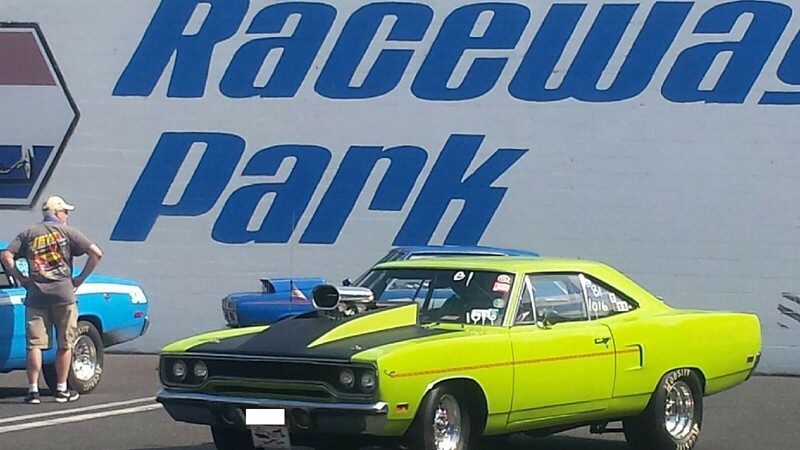 It's run a best 1/4 mile track time of 11.89 seconds at 110 MPH! 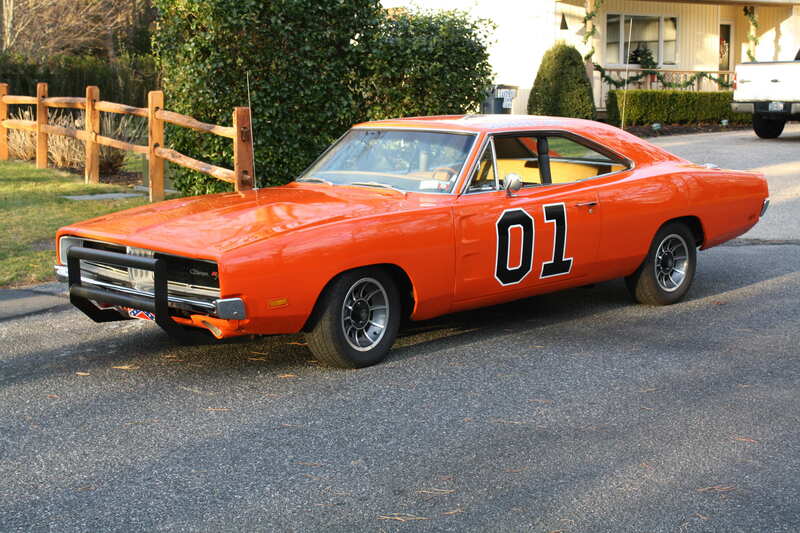 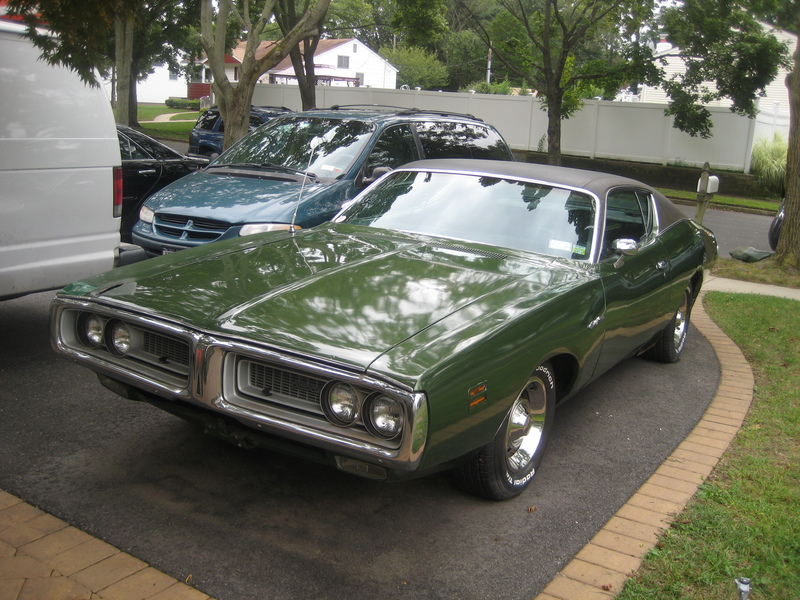 Pete V's 1971 Charger (Now For Sale-Contact Pete 631-454-8940). 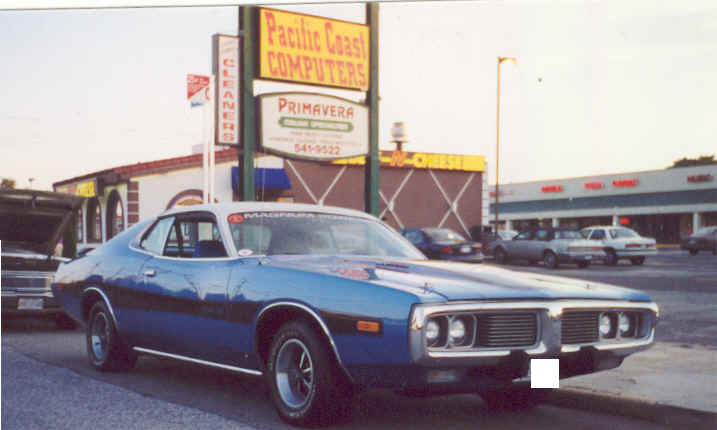 Wayne's Plymouth Used In Movie "What Happens In Vegas"